Coming April 15th from JMS Books! Clenching my jaw, I kept my gaze fixed straight ahead at the white smoke billowing from the hood of the car. I did not turn and look at the man who had shared my heart, bed, and body for the past nine years. If I did, I would probably claw his eyes out just for the patronizing tone. I took a deep breath, and let it out slowly, then closed my eyes as the smoke seemingly got thicker. “You should have called the garage as soon as–” Sam’s words were cut off when a flashing yellow light cut through the darkness. His parents lived twenty-five miles out of town, and we’d been stuck on a back road that only had intermittent lights. Sam turned and looked behind us as the tow truck came into view, it’s huge headlights illuminating his face. I turned in time to see his scowl morph into one of relief. He’d called his father to come meet us after we’d called Triple A, and I knew he was worried about keeping his dad out in the cold. Now, once the man arrived, we’d already be in the process of getting the car taken care of. A big bulk of muscle hopped down from the cab of the tow truck, and I exited the car at the same time as Sam. The moment the tow truck drive came into view, I sucked in a breath. He was gorgeous, all cut muscle and broad shoulders. His face was a study in carved perfection, and his grin was blinding even in the dark. I had to lean against my sedan as my knees went a little weak. I leaned back in to do as he asked, but when I straightened, Sam was right there, standing between us. He’d crossed his arms over his chest, puffed up even, and he was glowering at the tow truck driver. I tried to peer around Sam as the man leaned over to look at the engine, but Sam stepped back into me, pushing me back a step. I jabbed at his shoulder, but he didn’t move. Sam was almost as big at the driver was, six foot tall and bulky. There was no moving him if he didn’t want to move. “What is with you?” I hissed in his ear. But Sam didn’t respond. Sam answered before I could, giving him the name of the garage, and then all but ordered me to get anything of value out of the car so that we didn’t have to worry about it when it was at the shop. I grumbled as I did it, constantly glancing at Sam and the way he stood glaring at the tow truck driver. Fifteen minutes later, my car was hooked up to the tow truck, and Sam’s dad had arrived. I’d put all my belongings into his dad’s car trunk, and then turned to thank the driver, but saw he was already getting into his truck. A moment later, he trundled off, my sedan rolling along behind. Possessiveness. My knees went weak again, but for an entirely different reason. Sam knew he had nothing to worry about where I was concerned. I’d never stray. But that didn’t stop Sam from staking his claim every now and again. And every time, it made my heart pound and my stomach swoop. I loved that he had to show the world I was his. I grinned and threw my arms around his neck. Sam softened immediately. “Damn right.” Sam sounded smug. It’s funny, the things that stick in my head. Sometimes, I go back and look at my previous posts to see if I’ve written about a particular something before or how long ago it was. I see the posts where I talk about how I’ve gotten this great new idea and I’m all gung ho to write it. And about most of them, I don’t have any idea what that plan was now. Absolutely none. A few of them, I remember, and I know exactly why they didn’t get written. I expect, in the case of the former, the story lost steam even before it began. But some things….some things stick and stay, going round and round in my head. They bloom and grow, and actually seem like they are going to going to actually work. The one that’s in my brain now? I got the initial idea from something that actually happened to someone I know. Of course it was an immediate plot bunny. But the more I thought about it, the more it grew, and now there are scenes. And I know plot points. And I know characters and names. I want to write this one. The thing is, though, that I only have the beginning parts. I only know how the story starts, the first four or five chapters. Of course I also know how it ends. But all the stuff in the middle? The meat of the falling in love and growing and learning? That’s where everything is hazy. So I’m putting off putting the words on the page yet. 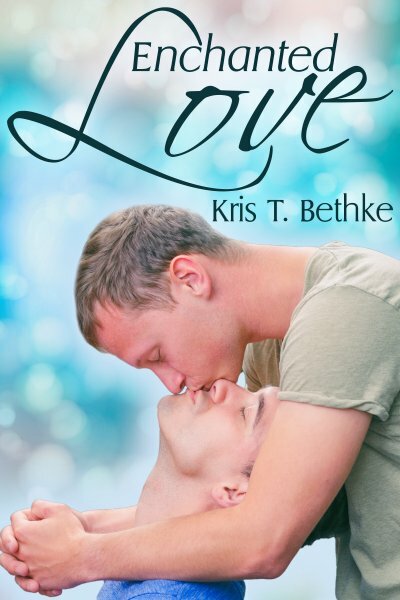 Though I’m all about the beginning, oh do I love the way this story starts, I don’t want to get too invested until I know how I’m going to get my boys from the meeting and initial attraction to their HEA. Besides, I’m still taking it easy at the moment, and I’m not in any hurry to rush into a new story. Not when I’m still coming down from the last one. If these guys are, if this story is, meant to be, then the beginning I have will become more and I will have find those salient details to help the boys fall in love forever.